Alexander Novack is a top‐ranking multilingual residential broker with a comprehensive 14+ year career in real estate investment banking, private equity, and luxury brokerage. He is consistently recognized among the top 2% of 50,000+ NRT agents and has a proven track record representing a global network of primary home owners, development sponsors, investors, and financial advisors for ultra‐high net worth clientele. Mr. Novack is currently the Co-Head of Sales for 225 West 17th Street, a boutique new development in the heart of Chelsea. He has successfully listed and sold in buildings including 15 Central Park West, The Time Warner Center, 1172 ParkAvenue, 641 Fifth Avenue, 45 East 80th Street, 45 Christopher Street, 77 Douglass Street, 205 Water Street, 224 Henry Street, etc., while achieving several price/square foot and days on market records. Alexander is a graduate of the Trinity School in Manhattan and Georgetown University’s Walsh School of Foreign Service, where he focused on international political economy, finance and Mandarin Chinese. 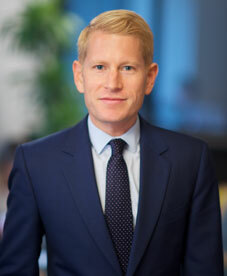 Prior to joining Sotheby’s International Realty, Alexander worked in real estate private equity and investment banking as a vice president at investment manager Avenue Capital and at Credit Suisse. Alexander brings a unique perspective when evaluating both the current and future value of residential properties, having served throughout his career as the investor and owner of numerous co-op, condominium and rental projects in Manhattan’s Upper East, Upper West and downtown neighborhoods. He is also well-attuned to both his domestic and international clients’ needs, having traveled extensively throughout Asia, Africa, Europe, the Middle East and South America. Real estate buyers and sellers choose to work with Sybille Novack, a Senior Global Real Estate Advisor and Associate Broker with Sotheby’s International Realty®, for one reason: her proven track record. For more than 15 years, she has negotiated the sale and purchase of many of Manhattan’s most sought-after properties including premier condominiums, cooperatives and townhouses. Together with Alexander Novack, Sybille forms the Novack Team. Born and educated in Europe, where she earned her bachelor’s degree in Mathematics and Physics, and having traveled globally as the entrepreneurial founder of her own fashion design firm, Sybille has a heightened awareness of the diverse cultures of many countries. 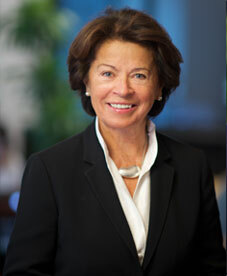 Fluent in English and German, she understands her international clients’ needs when it comes to living outside of their native country and works closely with them to translate those unique requirements into the appropriate Manhattan residence. Sybille has lived in Manhattan for much of her adult life, including Greenwich Village, Central Park West and now, the Upper East Side. Given this extensive knowledge of the areas both personally and professionally, clients look for her insight about the amenities of the city’s diverse neighborhoods. They appreciate her negotiating prowess and ability to develop a comfortable working relationship, as evidenced by her 80 percent repeat customer and client referral rate. Her clients, which include notable business leaders, affluent New York families and diplomats, benefit from her strict adherence to confidentiality regarding all transactions. Sybille has also maintained a residence in Southampton for a number of years. She utilizes her in-depth knowledge of the Hamptons market to further support her clients in both selecting a real estate broker in the area and guiding them in the home buying process. A member of the Southampton Bath and Tennis Club, Sybille also supports various New York and Southampton charities. She belongs to the Real Estate Board of New York.